Top Notes: Lemon, Orange, Pear, Peach. Heart Notes: Rose, Violet, White Jasmine, Lily of the Valley, Violet. Base Notes: Cedarwood, sandalwood, White Musk, Vanilla. 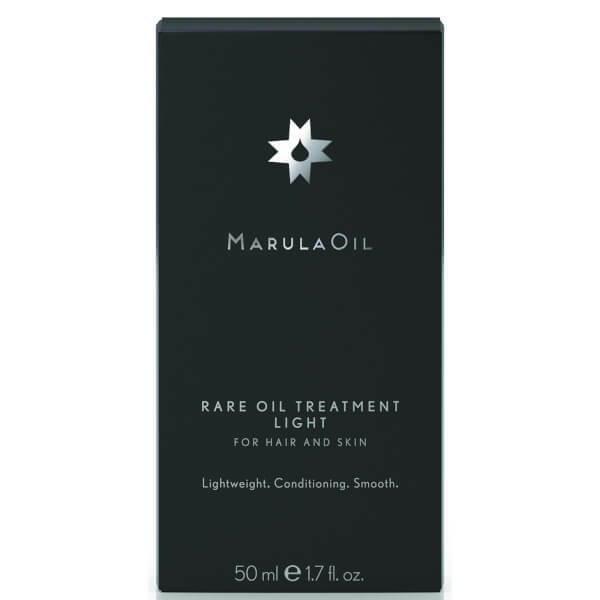 Treat fine hair to the Paul Mitchell Marula Oil Rare Oil Treatment Light, a multi-tasking formula that works to condition and replenish the hair and skin. A featherweight version of the original Rare Oil Treatment, the cold-pressed Marula Oil is packed with powerful antioxidants and replenishing Oleic Acids to deliver instant hydration and frizz-taming properties. Non-greasy and lightweight, the treatment pampers skin and hair with rich moisture, and can be applied pre-shampoo as an enriching treat or to clean, damp hair before blow-drying. 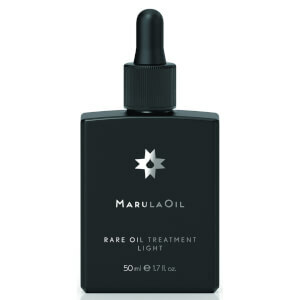 Instantly conditioning, it contains Marula Oil and Esterized Oil to leave hair looking soft, silky, glossy and frizz and flyaway-free. Infused with an exotic floral fragrance with top notes of Lemon, Orange, Pear and Peach. Suitable for fine hair.